I caught the first 15 mins of the new drama Just You, which disappointingly felt like every Taiwan drama of the past couple years. The story was so full of cliches, overacting, and nonsense that I had to switch it off for my sanity. It features yet another chirpy, self-narrating, indignant Candy-type, played without any originality by Puff Guo (to give you an idea, the character answers a phone call from her bubble bath with "Are you happy? I'm happy!" - *headdesk*). And our hero - you guessed it - stoic, direct, and has a sob-story past. They tried to make that as apparent as possible by giving him a hatred of roses, and literally had him crush a rose between his fingers. Seriously? The lack of good Taiwan dramas these days is nothing new, but it's a progressive and saddening trend. Maybe their budgets are getting cut due to the onslaught of good Korean dramas, so all the good writers have run off? I don't recall the campyness ever being so overwhelming in the past; there was humor and silliness, but not this level of background stupidity and lack of subtlety in every single drama. 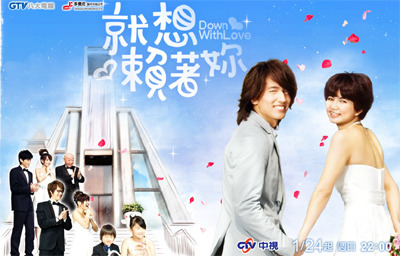 In fact, I started out watching Taiwan dramas, and up until a few years ago they were by far my favorite. It helps that I speak the language, which made no-subs better, but I also honestly enjoyed their stories and romances more. Mike He and Rainie were so freaking cute together, no wonder it spawned so much real-life shipping. I didn't like their first work, Devil Beside You, but WWL is adorable and has one of the first good love triangles that I can remember. 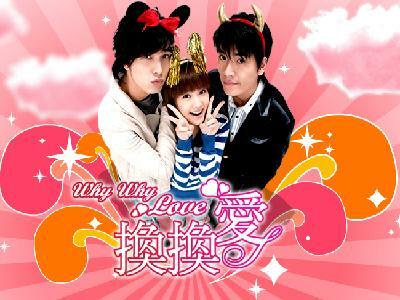 Show Luo and Barbie Hsu were amazingly compatible on-screen. It helped that their characters were so adorable both separately and together. More rich-girl poor-guy dramas should be made, imo. 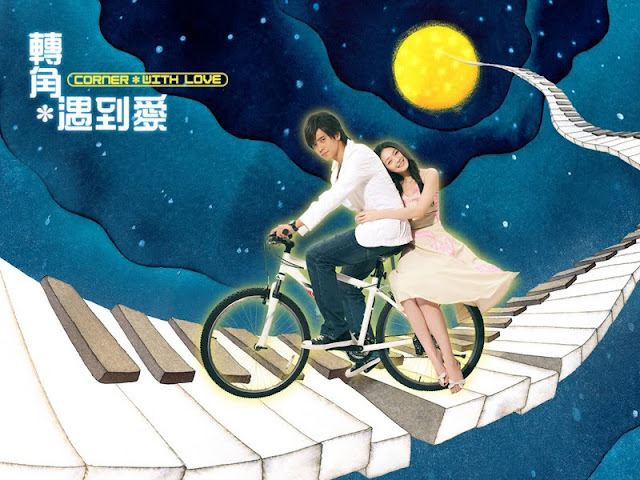 Drama had a terrific OST and the story never stalled. Tragic, but so heartfelt and Vic has never looked better before or since. It was gorgeously directed and made me bawl like no other, especially in the later episodes. I really liked the Korean actress they cast as the lead, and am sad that her career never took off in Korea. But if you watch it you'll see what I mean - she managed to completely charm and bring out the personality of her character, all without a single line of spoken dialog. I still don't get Ella's appeal (she's unnecessarily crass and plays up the sloppy tomboy factor in all her roles), but this is the one drama of hers that I really loved. Jerry is absolute perfection here, and not since Meteor Garden has he played such a likable character. It just has such a cheery vibe, and I loved all the characters (especially the heroine's sister). This came out about the time when campyness started getting a regular role in Taiwan dramas. Some of the office shenanigans and dragginess almost had me dropping earlier on, but the OTP scenes in this show are amazing. And it's overall just a satisfying, slightly melancholic story. Ethan is amazing here, much much better than in his star-making Fated to Love You. I actually watched episode 1 of that last weekend, and found it quite charming and mellow. Definitely a good change from the currently trending TW dramas, but unfortunately it doesn't have that hook I need to push me to watch more. I'm also fearful that the second lead will end up being like what Ding Li Wei was in ITWY, so am holding off in caution. Am definitely tempted to revisit it soon though. Thank you so much! This post made me want to rewatch some of the shows above haha. Let me know if you see any of them and agree, and if there's others I'm missing!